The shack reports have been a bit thin on the ground for nearly a year, no justifications, it’s been a fun packed 12 months with an award, new ideas and my sister getting married and even went up to the IO77,IO78,IO87,IO88 grid line with Iain M0PCB. However with winter now drawing to a close its time to get back to doing shack work, I didn’t suffer too much damage that I’m aware of which is always good and means one less thing to worry about. Es’Hail-2 now designated QO-100 is now available for use with both its wideband and narrow band transponders, with plenty chatter on newsgroups and social media. 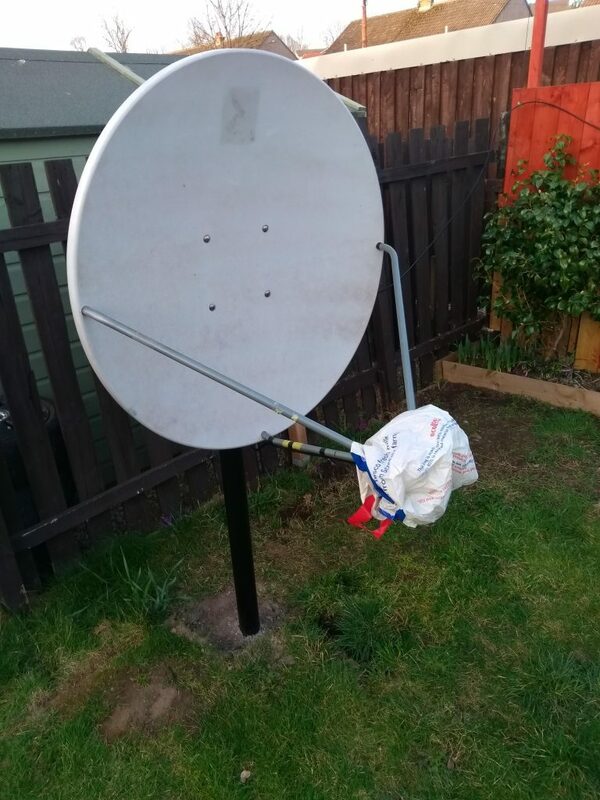 Most would have been surprised I wasn’t on from the start, I decided to hold back and just see what was going to happen before investing, however I have now got my channel master 1.2m offset dish mounted on a 6ft steel pole & concreted in the ground during the nice period of weather we experienced in Scotland. I have this connected to an SDRPlay in the shed and have been listening to the downlink with great success, now once the weather improves more I’ll work on the transmit side. Plenty of good DX has been worked on the low earth orbit satellites, guess moving did have one bonus that VUCC/DXCC started again. These two where at 11:51z in the morning, it would be nice to hear more VE on! Sorry for the rushed report, I promise Aprils shack update will be much better as there’s lots to report including antenna work and interesting DX in the log.